media.ccc.de - Playlist for "Inline Assembly"
Rust's support for inline assembly is currently unstable. 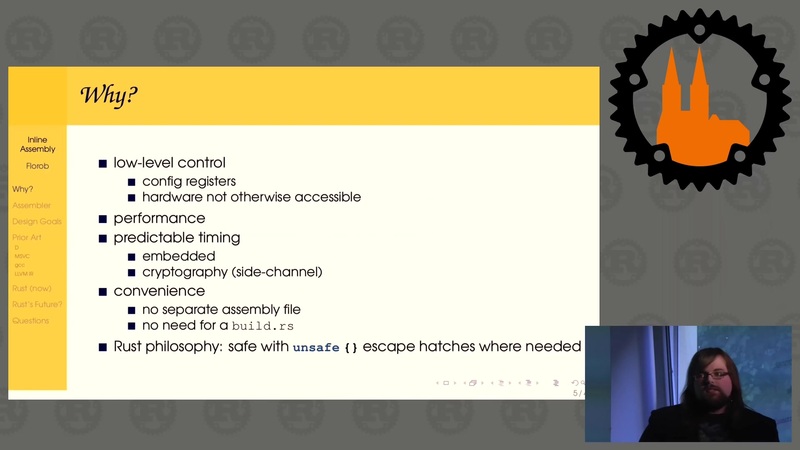 The talk will give an overview of the current unstable implementation in Rust, as well as inline assembly support available in other programming languages. This will lead into a discussion about a sensible design for this feature and a way to stabilize this eventually.